CLOSEOUTS. 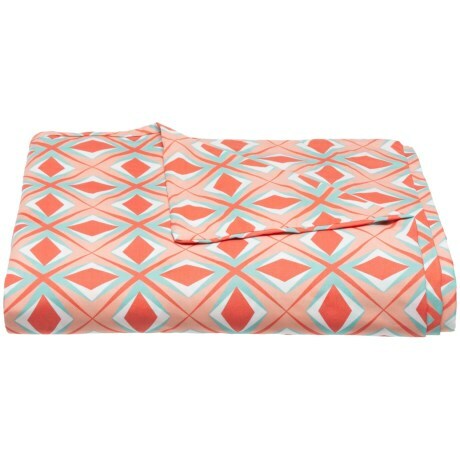 Bambecoand#39;s Geo Print Twin duvet cover delivers crisp, cool comfort with its soft organic cotton construction while adding a pop of bold personality to your space with a colorful geometric print. Available Colors: CORAL. Sizes: TWIN.